An amazing offer for the daily commuters to save on their pockets. 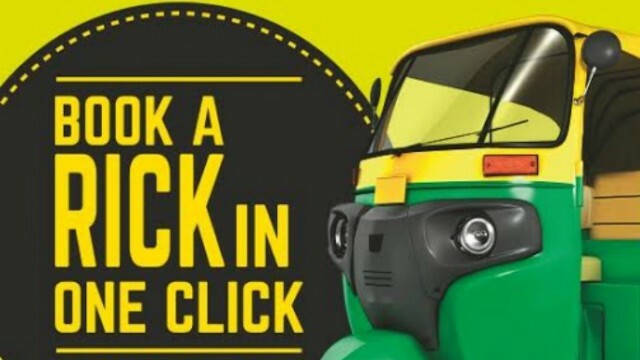 Earn Ola Money by getting a whooping 50% cashback on every OLA Auto ride booked between 11 AM and 5 PM in week days (Monday to Friday). 1. Click Here to land on the OlaCabs webpage. 2. Book your auto ride between 11 AM and 5 PM on Weekdays. 3. Recharge your OLA money with minimum of Rs. 200 using your OLA app. 4. Use OLA money to pay for your ride. 5. No coupon code required. 1. Minimum of Rs. 200 in OLA wallet. 2. Limited period offer which cannot be clubbed with cabs or any other offer. 3. Offer valid for Bengaluru, Delhi, Ahmedabad, Hyderabad, Chennai and Pune.